I'm mixed on short stories because I usually feel like I want more but I like that it doesn't take me long to read a book. This book felt complete to me! We meet the characters, Prince Gavin, the orphan Philip and the blacksmith's apprentice, Bryan, and they are upset that their friend, the Wild Man, has been accused of murder and theft. They decide to do whatever they have to in order to save him. They each set out to do their part and face their fears. Gavin is a young prince training to become a squire and is afraid that he won't be able to do it. Philip came to Pembroke a year ago, after tragically losing his family and still hasn't told his friends what happened. Bryan wanted to be a knight but lacked money and stature to make that happen, so his family sent him away to learn a trade. He's been the blacksmith's apprentice for the last five years and still has two years left. This is a fast-paced story that children and adults will both enjoy! It's well-written and exciting as we read about the fears each boy faces and how they are able to triumph. It's a great story about loyalty, friendship and overcoming obstacles. Because of the length, it doesn't drag or slow down at all, so it's fun to read and hard to put down. And the ending is full of surprises! I highly recommend reading this book! "This was a great book! I liked all of the action and excitement in it. Ms. Carpinello wrote this book really well and it was very appropriate for kids even though it deals with fighting and a wrongfully accused person. Ms. Carpinello described the time period really well, I felt like I was a knight in medieval times! I really love that the story features a bit of King Arthur legends in it! The ending had a couple of great twists that had me totally surprised!." ~ Erik @ This Kid Reviews Books, 5 Stars. Terms and Conditions: A winner will be randomly drawn through the Rafflecopter widget and will be contacted by email within 48 hours after the giveaway ends. The winner will then have 72 hours to respond. If the winner does not respond within 72 hours, a new draw will take place for a new winner. If you have any additional questions - feel free to contact Renee at Mother Daughter Book Reviews. Thank you for your glowing review of Young Knights Melanie. It is hard to believe that the plot, which is definitely intricate therefore challenging enough for the middle grade crowd, was told in so few pages. I think that's what makes it so perfect for reluctant readers - the story just keeps moving. Thanks for taking part in the Young Knights blog tour. You're welcome, Renee! And thank you for offering such great books to review! 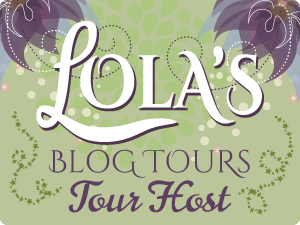 Melanie, thank you for hosting me on my Blog Tour! Thanks also for your kind words about "Young Knights of the Round Table: The King's Ransom."